← Wear Some Clothes Today, Eh? 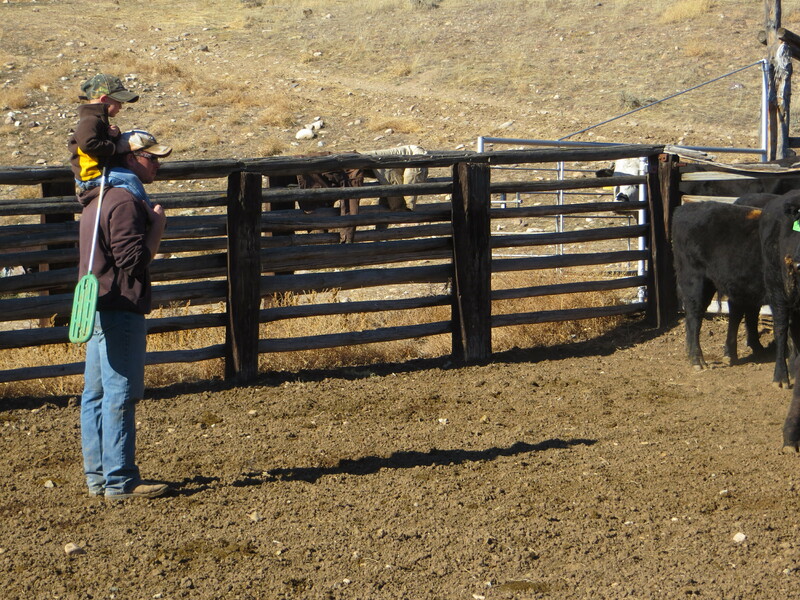 We worked at gathering the Double Crossing, bringing the girls to the home corral where we could sort them two different ways… Since it’s a short trip, You Know Who, got to be Cowdog of the Morning. As usual, he was beside himself! 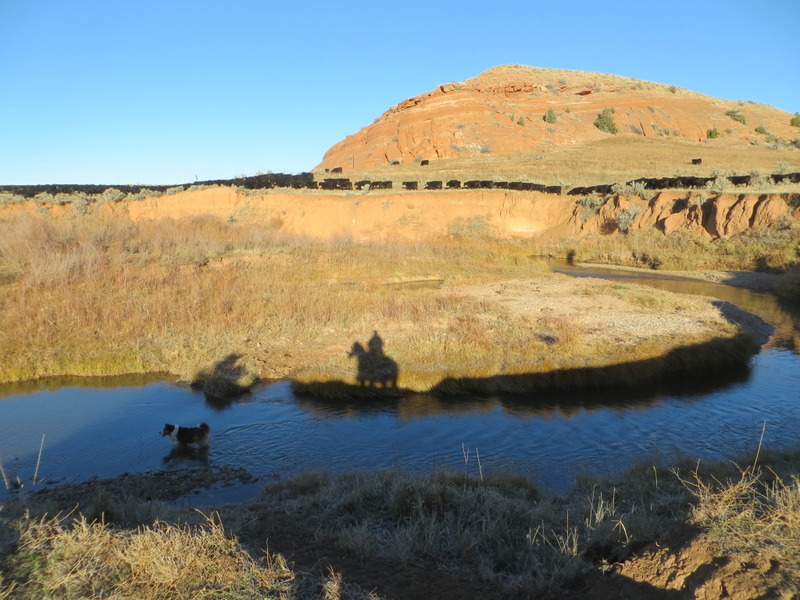 Although it was 10˚ this morning, by the time we’d gathered the Double Crossing, he was ready to lay down in the creek! Silly dog! Then came corral work. 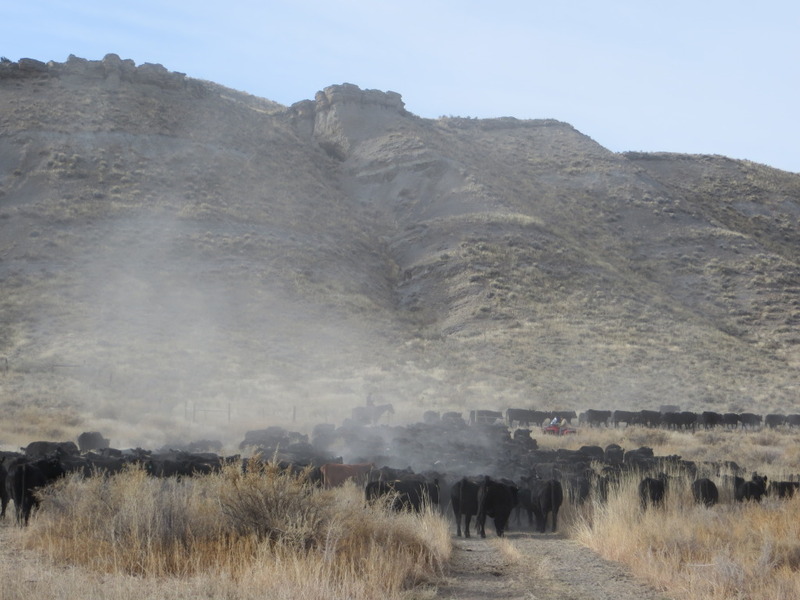 The young heifers and the old cows we’re selling get to stay in the fields, while the rest of the herd travels to the badlands pasture. Jaxon showed up to help his daddy. 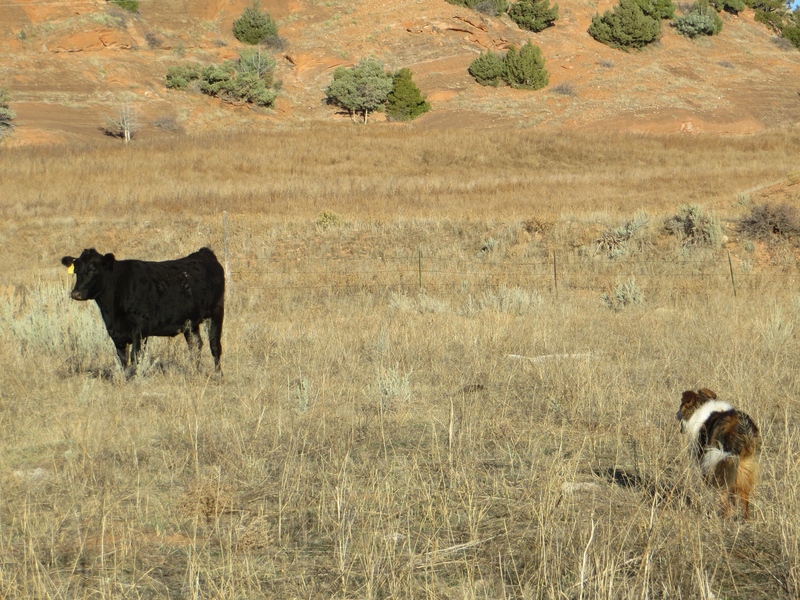 Dally got to be Cowdog of The Afternoon when we kicked them a mile out towards the badlands. Brandon tries to get a count on them through all the dust. Normally, this might be done in snow, or at least cold rain… so dust is unusual for this job! How many head do y’all usually run?